In the field of structural operational semantics (SOS), there have been several proposals both for syntactic rule formats guaranteeing the validity of algebraic laws, and for algorithms for automatically generating ground-complete axiomatizations. However, there has been no synergy between these two types of results. 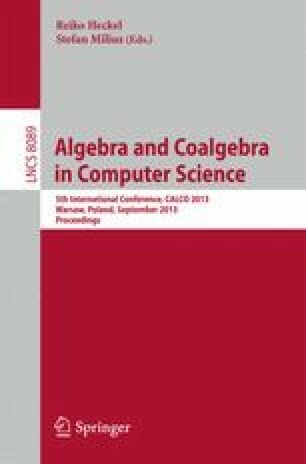 This paper takes the first steps in marrying these two areas of research in the meta-theory of SOS and shows that taking algebraic laws into account in the mechanical generation of axiomatizations results in simpler axiomatizations. The proposed theory is applied to a paradigmatic example from the literature, showing that, in this case, the generated axiomatization coincides with a classic hand-crafted one. The first three authors have been partially supported by the project ‘Meta-theory of Algebraic Process Theories’ (nr. 100014021) of the Icelandic Research Fund. Eugen-Ioan Goriac is also funded by the project ‘Extending and Axiomatizing Structural Operational Semantics: Theory and Tools’ (nr. 1102940061) of the Icelandic Research Fund.